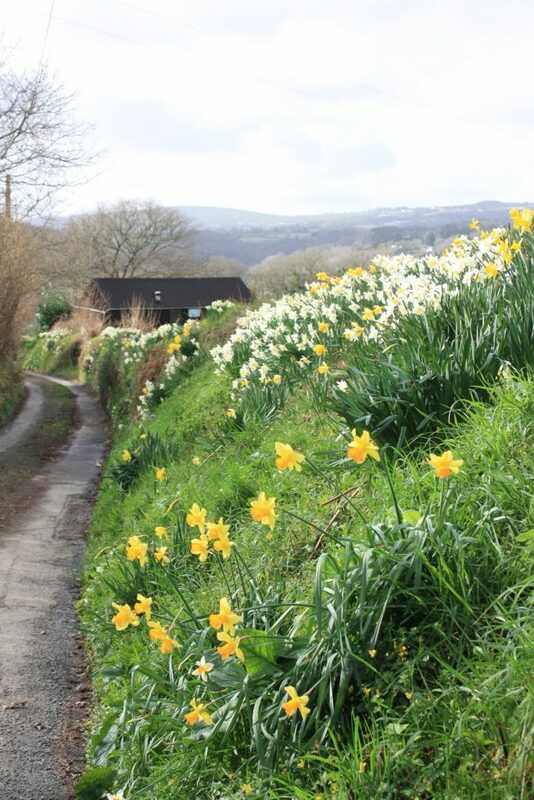 Plymouth residents are being encouraged to take the train to Bere Ferrers on Saturday 24 March to enjoy the spring colours of the Tamar Valley at the village’s annual Spring Flower Show. Bere Ferrers Spring Flower Show has long been renowned for its daffodil displays and is in its 70th year this year. There will be over thirty classes of the popular flower as well as other categories such as produce, cakes and jams. Home-made refreshments and locally grown plants will also be on sale. The Spring Flower Show is being held in the village’s Church Hall, about ten minutes’ walk from the station, and will be open from 13 30 to 17 00. Admission to the show will be £1 per adult, children free. As well as the flower show, there will also be a craft fayre running from 13 00- 16 30 in the nearby Bere Ferrers Social Club with a range of jewellery, paintings and pottery on sale. The pretty village on the banks of the Tavy is just seventeen minutes from central Plymouth by train on the scenic Tamar Valley Line. Trains leave Plymouth at 12 54 and 14 54 for the short journey to Bere Ferrers. Trains return from Bere Ferrers at 16 10 and 17 54. The Off Peak Day Return fare is £5.10 adult, £2.55 child (5-15 years). Passengers can also join the train at Devonport, Dockyard, Keyham and St Budeaux Victoria Road stations.